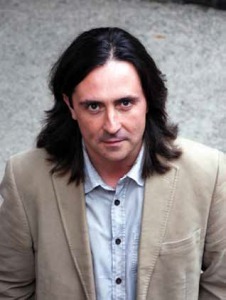 I am usually described as an archaeologist, historian, writer and broadcaster – meaning I do a combination of writing stories about things that happened in the past, and appearing on television as a presenter. I was excavating a Victorian battlefield in South Africa when a researcher working for an independent TV company ran across the website we had built to tell people about our work out there. They were very interested in the idea of using archaeology to reveal more about battlefields, and my co-director and I were asked if we would like to be the presenters of a TV series all about British battlefields. Since then, I haven’t looked back. Since then, I’ve been lucky enough to present all sorts of different TV series about history, archaeology, geography, and social history. It’s a great privilege. I meet and talk to all sorts of interesting people and get to visit fascinating places. I’ve always loved writing, and now I get to write books about the various projects I’m involved with. I would say there are only two difficult aspects to my job: sometimes I have to speak in front of lots of people, which can be a bit scary, and also the travelling means I’m away from my family for large parts of the year. This is a hard question because I ended up in this job by accident, rather than by any conscious decision on my part. I would say the best thing to do is find a subject that you love and feel enthusiastic about – TV always needs people who enjoy explaining why their subject is so fascinating. And if you’re lucky – like I was – producers and/or TV companies will find you, rather than you having to find them! A great way to find your passion is by going online and doing some research. The internet is a wonderful tool that can help you explore exciting new subjects and different career paths. It can really help ignite your love of learning, and encourage you to find out more about the world around you. However, an important thing to note is that the Internet is vast and seemingly endless. Information is at your fingertips, so it’s important to keep safe and be aware of the dangers out there. You must not reveal personal information or talk to strangers, the same way you would not talk to strangers on the street. Read Neil’s chapter on how to ‘Explore’ the internet in Club Penguin’s Guide to the Wonderful World of the Web. 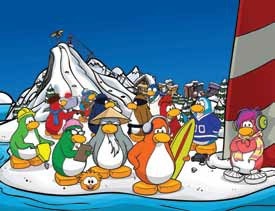 Check out www.disney.co.uk/clubpenguin.